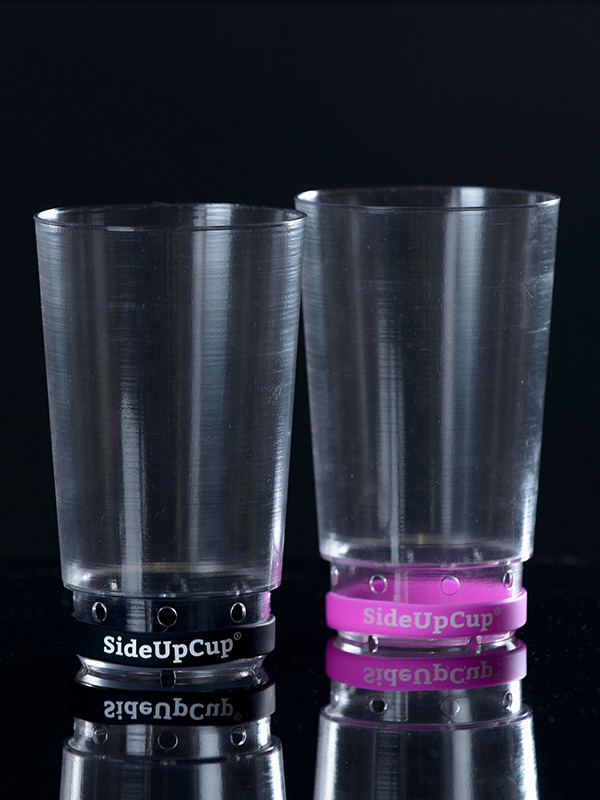 SideUpCup - the dispensing system of the future! Innovative dispensing technology made in Germany. 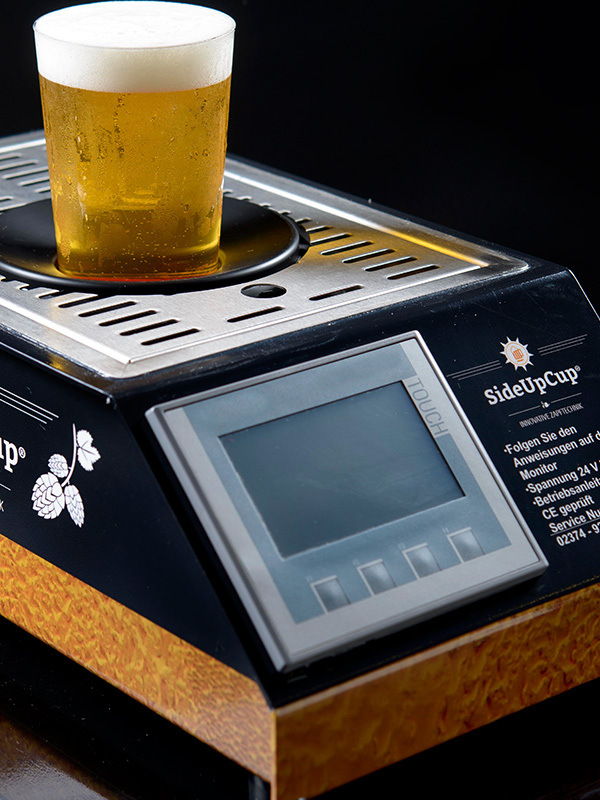 SideUpCup® is the dispensing system of the future! Gone are the days of long queues at the bars of concerts, football matches and events with many visitors! Our dispensing machine fills cups in intervals of seconds and so not only delights beer lovers, but also increases your drinks sales many times over! Revolutionise serving your drinks with a new and modern dispensing system which fills every cup within seconds and at the same time retains the full flavour of the beer! The cup is filled in a very short time through several openings in the bottom rim and the low pressure drop preserves the carbonation in the drink. 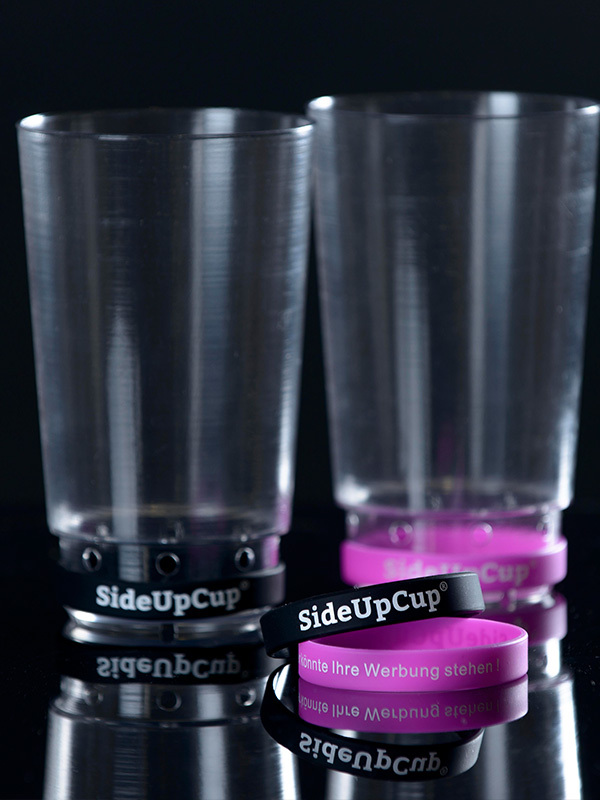 Whether shooting fair, concert or sport event – every event organiser is ideally equipped with the SideUpCup® system. You would like to learn more about our technology? Here you can find all important information. 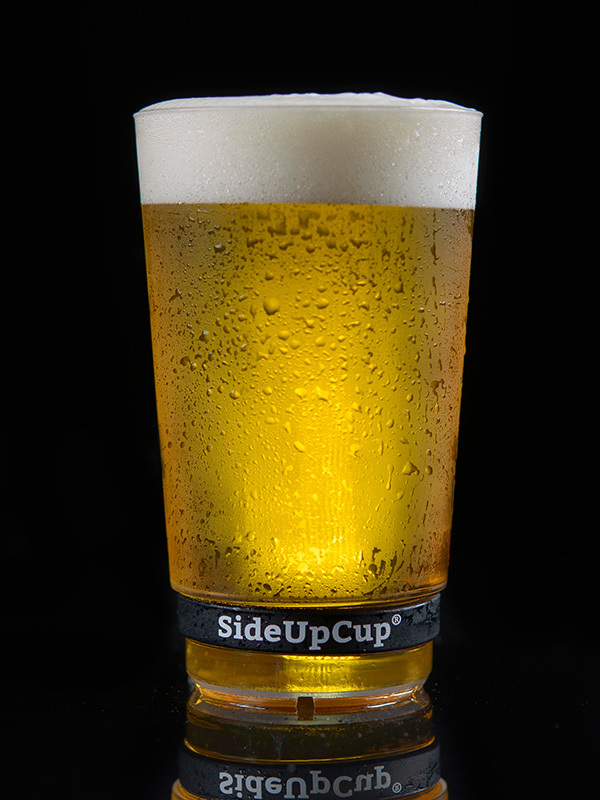 The silicon locking ring is an essential component of the SideUpCup® system since it covers the openings completely after the cup has been filled and so prevents the beer from leaking out. In addition it can serve as an extraordinary opportunity for advertising! The band can be printed with your individual advertising message and can be taken home by the visitor directly after the event as a wristband. So even after the event you will not only remain in the visitors’ focus, but also in their surroundings! Your advertising could be here! 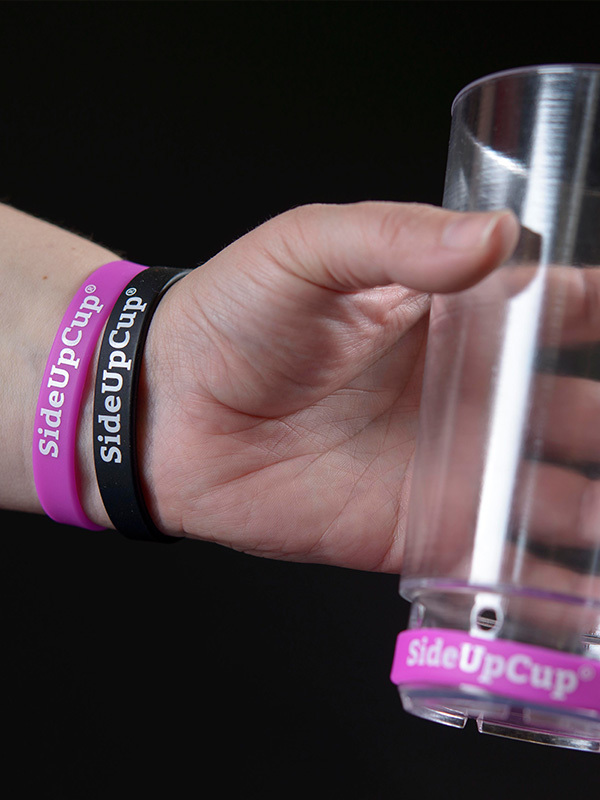 You would like to use the convincing advertising impact of SideUpCup’s® silicon wristband? Here you can find upcoming events that still have free contingents available for your advertising!